One of Motown’s greatest successes, American singer-songwriter and musician Marvin Gaye was quite simply one of the most important and influential soul artists of the 20th century. Known for his powerful tenor voice and extraordinary songwriting abilities reaffirmed soul music as a creative force and solidified its impact as a catalyst for social change. Gaye has sold more than 60 million records worldwide. Born in April 1939 in Washington, D.C., Gaye started singing gospel music when he was only eight years old. His father was a preacher and he would often accompany his father to religious fairs and festivals. Gaye’s father was very strict and he would often receive brutal whippings and degrading verbal abuse from his father. Marvin Gaye learned to play piano and drums at a very young age and played organ in his father’s church choir. While still in high school, he started playing in several doo-wop group and attracted the attention of Harvey Fuqua of the Moonglows after winning a talent contest. In 1957, after performing with famed Washington vocalists the Rainbows, Gaye formed his own group, The Marquees. They recorded “Wyatt Earp” on the OKeh label with the help of Bo Diddley, whom the group backed until 1958. In 1961, Gaye was signed as a session drummer with Motown Records. He played for Smokey Robinson and the Miracles for two years and also recorded his own singles in the meanwhile. Although his debut album, The Soulful Moods of Marvin Gaye, was a commercial failure, his single “Stubborn Kind of Fellow” became a national hit in 1962. Over the next years, Gaye enjoyed tremendous success with massive hits such as Can I Get a Witness, How Sweet It Is (To Be Loved By You), I’ll Be Doggone and Ain’t That Peculiar and also had successful collaborations with Marry Wells, Tammi Terrell and Diana Ross. Here, My Dear (1978), he lived in exile for a few years in Belgium. Gaye returned to performing in 1982. On April 1, 1984, he was fatally shot by his alcoholic father. The unfortunate incident took place one day before his birthday. More than 10,000 people attended Marvin Gaye’s funeral in Los Angeles and his body was cremated at Forest Lawn Memorial Park at the Hollywood Hills. Marvin Gaye received numerous awards and honors in his lifetime, and has been posthumously awarded many more. A few of them include two Grammy Awards, the Grammy Lifetime Achievement Award, and inductions into the Rhythm and Blues Music Hall of Fame (1987) and the Rock and Roll Hall of Fame (2014). 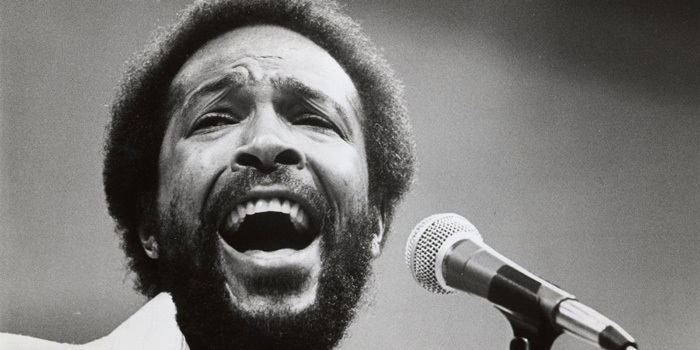 Marvin Gaye’s tragic personal life included years of drug abuse, troubled marriages, and even failed suicide attempts. Gaye was married twice, and had three children.